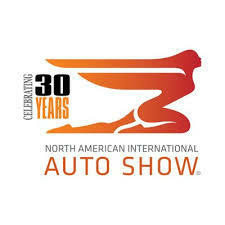 Detroit January 18, 2019; The 2019 North American International Auto Show (NAIAS) in Detroit is historic for two reasons. Firstly, because this marks the final year that the show will be held in the winter. From 2020, the NAIAS will take place in June, meaning that Detroit will no longer kick off the US auto show season (although Miami Auto Show Takes Place before LA in November). Secondly, exactly 30 years since the Lexus and Infiniti Premium brands were first introduced in the US, the 2019 NAIAS is notable for the absence of a number of key players in the Premium arena. Admittedly, fewer new vehicles were unveiled at this year’s show than we might typically expect, but there were, nevertheless, some prominent examples, as outlined below. SUVs are forecast to represent 49% of US sales in 2019, but their share of the Premium market is likely to reach 61% this year, which explains why luxury brands are rushing to release as many SUV models as possible. Cadillac will launch the XT6 Midsize Premium SUV, slotted between the XT5 and the Escalade. The 6-seater will be powered by a 3.6L V6 engine with an estimated 310 hp. Having opted not to offer hybrid variants of its models, Cadillac will jump on the electrification bandwagon after the current product plan ends in 2020. The XT6 is slated to arrive in the summer to coincide with the launch of the Aviator Midsize Premium SUV from crosstown rival Lincoln. The Ford Explorer leads the Midsize SUV market and is a main source of profit for Ford. The new generation will be rear-wheel drive and benefit from the addition of a hybrid version, with an estimated 500 mile range. A new ST variant will be the fastest Explorer ever built, thanks to its 3.0 EcoBoost engine capable of generating 400 hp. Sales of the Explorer dipped by 3.5% in 2018 and with the changeover to the new generation – which is not expected to hit the market until Q2 – we forecast a 5% decline in sales this year. But despite this drop, along with the prospect of increased competition, the model should still retain its position at the top of the Midsize SUV market in 2019. At what marked its fifth appearance at the Detroit auto show, GAC unveiled the Entranze, its first US-designed concept car. The MPV has room for three passengers in the first row and a further four in the second and third rows. But perhaps more noteworthy than the Entranze is GAC’s plan to enter the US market. As well as a design centre in Los Angeles, the Chinese OEM has set up two R&D centres in the country, one in Detroit and the other in Silicon Valley. President of GAC, Yu Jun, told LMC Automotive that a US sales company has also been established and that the brand has been in discussions with 130 dealership groups in 30 different states. The current US-China trade dispute, however, means that GAC’s original plan to enter the US market in late 2019 has been delayed until the first half of 2020 at the earliest. The faux-pas of the show was undoubtedly the failure of the Infiniti QX Inspiration Concept to arrive on stage during the press conference, as planned, due to mechanical problems. As Infiniti executives attempted to describe the missing SUV, they jokingly referred to it as, “The vehicle that you cannot see”! Although details remain scarce, we know that the QX Inspiration will be built on a dedicated EV platform, with two electric motors – one on each axle. Infiniti was keen to highlight how the QX heralds a new, cleaner design language, which was fully appreciated when the model eventually made it to the stage. The largest ever Kia vehicle, the Telluride, will fight for a slice of the Midsize SUV segment. Designed in California, the model is identical to the concept originally revealed in Detroit three years ago. We expect it to cannibalize sales of the 3-row Midsize Sorento to some extent and notch up sales of 47,000 units in 2020. In conversation with LMC Automotive, however, Michael Cole, COO and Executive Vice President of Kia Motors America, stated that he did not expect Sorento sales to suffer as the Telluride is a different product in that it is larger and can carry up to eight passengers. In reference to the two models that dominate the segment from rivals Ford and Toyota, respectively, Cole asserted that, “We needed this vehicle to compete against the Explorer and Highlander”. Theoretically still a concept, the LC Convertible showcases what the LC Coupé would look like without a roof. Convertibles have lost ground, falling from 1.2% of the US market in 2012 to 0.7% in 2017, but remain an important bodystyle at the higher end of Premium market. Almost 188 inches long, the LC Convertible is only 52.8 inches tall, thus retaining the proportions of the coupé variant. Lexus also showed the facelift of the RC Compact Sporty and its F Track Edition, which can reach 60 mph in under four seconds. Nissan’s insistence that Generation Z consumers will favour sedans over SUVs, provided that the right technology is offered, ushers in the IMs concept. With two electric motors generating 483 hp and 380 miles of range, the IMs is equipped with both standard and autonomous driving technology. All-wheel drive, like the Altima Midsize sedan, the concept model has a 2 + 1 + 2 seating architecture. The rear seat is oversized and centrally positioned, while gold detailing throughout add light to the interior. Nissan has promised eight new full-electric vehicles by 2022, although one of these will simply be a longer version of the LEAF Compact Car. A new version of the massive Ram Heavy Duty Large Pickup (2500 and 3500) made its debut, featuring a refreshed exterior and 1,000 lb-ft of torque coming from the 6.7 Cummins turbo diesel engine. The standard version, however, retains the 6.4 HEMI V8 engine, which has less than half of the four-digit torque. FCA claims that because 90% of the models sold will be used to tow a trailer, it has fitted the Pickup with sensors to measure the pressure of up to 12 tyres, rear air suspension to help hitch the trailer, and driver-activated bed lowering. There will be six distinct trims, including a new Power Wagon with front- and rear-locking axles and 33-inch tyres. The key news concerning the model was hidden, however. Production will take place in Mexico, despite major announcements in early 2018 that the Heavy Duty version would be built in Michigan. “We do not have any updates on production plans”, said Reid Bigland, head of the Ram brand, after the new model was launched at the show. After 21 years, the Toyota Supra has returned to the US market. With a 335 hp engine that pushes the coupé to 60 mph in 4.1 seconds, the Supra has a perfect 50:50 weigh distribution. This fifth-generation Supra is the first global product developed by the joint venture between the Toyota arm in charge of motor sports and BMW – a collaboration that has already resulted in the development of the Z4. As an automaker largely renowned for its sedans, hybrids and the RAV4 Compact SUV, the Supra will help to modernize Toyota’s brand image. The model’s sales potential, however, is somewhat limited. Sales of Toyota’s other Sporty vehicle, the 86, dwindled to a mere 4,100 units in 2018, a 40% drop from the 2017 total. Although Cars are still an important segment of the US market, sales plunged by 13% in 2018, albeit with a still-high tally of 4.8 mn units. While the decline is certainly a worry, brands like Volkswagen continue to offer sedans, given the sheer volume of sales in the segment. To counteract these mixed indicators, however, Volkswagen opted to change the appearance of the Passat Midsize sedan, but without altering its platform or replacing its 2.0 turbocharged engine. In what is anticipated to be the Passat’s last change before it exits the US market, the model is now equipped with LED lights, a blind spot detector and a rear traffic alert system as standard. Although the Atlas Midsize SUV has now overtaken the Passat in terms of sales, we still expect the model to account for 12% of Volkswagen’s overall US sales this year.